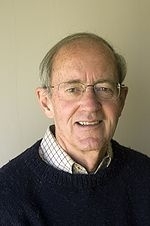 Frederick Campbell Crews (born 1933) is an American essayist and literary critic. Professor emeritus of English at the University of California, Berkeley. Initially a proponent of psychoanalytic literary criticism, Crews later rejected psychoanalysis, becoming a critic of Sigmund Freud and his scientific and ethical standards. Crews was a prominent participant in the "Freud wars" of the 1980s and 1990s, a debate over the reputation, scholarship and impact on the 20th century of the founder of psychoanalysis. Frederick C. Crews's book Freud was available from LibraryThing Early Reviewers. Frederick C. Crews is currently considered a "single author." If one or more works are by a distinct, homonymous authors, go ahead and split the author. Frederick C. Crews is composed of 10 names. You can examine and separate out names.